Vehicles travel across the Hidalgo-Reynosa bride into Reynosa on June 12, 2017 in Hidalgo. The Hidalgo-Reynosa International Bridge will begin a $588,663 repaving and joint repair project in mid-May, which could cause some delays. 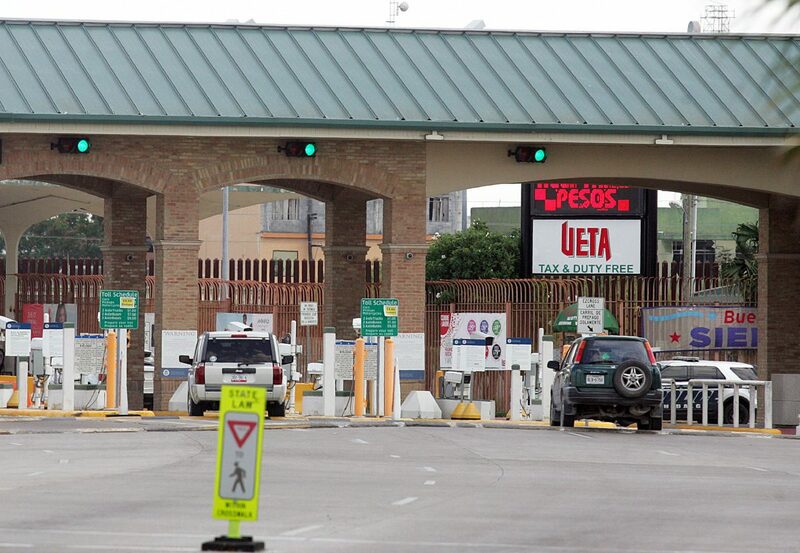 The City of McAllen is hoping, however, that traffic will continue to flow fluidly in both directions. The project is expected to be completed in about three weeks, according to McAllen superintendent of bridges Rigo Villarreal, though that timetable is a bit rough. The bridge board awarded the project to Foremost Paving, run by former McAllen City Commissioner Trey Pebley. The bridge is open 24 hours a day, seven days a week, but traffic is quieter at night, which is why construction will often be done during that time, Villarreal said. One lane will be paved at a time in order to minimize traffic delays, he said, while the bridge will coordinate with Customs and Border Protection to keep traffic flowing. Each lane on the U.S. side of the bridge will be repaved, both northbound and southbound. The bridge earmarks 50 cents of every toll it collects for infrastructure improvements. That money is funding the repaving project, Villarreal said. The Hidalgo Bridge serves passenger vehicles and pedestrian traffic. Mitchell Ferman covers the city of McAllen and cross-border trade and politics for The Monitor. He can be reached at mferman@themonitor.com or (956) 683-4474.